Crochet 101: Learn How to Crochet The foundation chain stitch. I’m creating a new series of lessons for everyone that is completely new to crochet. I will be sharing the basics stitches, how to read them in written patterns, how to read them in crochet diagrams, and more importantly I will show with video and step by step instructions how to crochet. 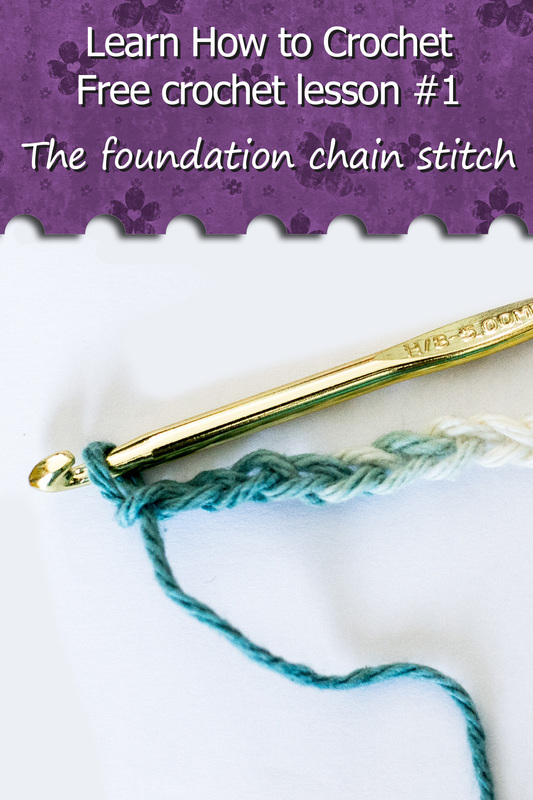 Of course we need to start with the foundation to every crochet project, and that is the chain stitch! The chain stitch is basically a series of looped stitches that for a chain, and it will be the base to almost all your crochet creations. In written patterns the chain stitch is popularly presented as a “Ch” which is just an abbreviation. If it were to be represented any differently, the notes on the patterns will inform you of it. (watch the video for more details). In diagrams the chain stitch is usually represented as an oval, or a small circle. (watch the video for more details). If you never crocheted before, but would like to start learning, these series are just for you. This video is just the first of many more to come, and in each new video I will show a new stitch, a new technique or other tips and tricks to help you get started in this fun craft, and soon you will be able to follow patterns and start creating your own crochet items!